4-588-B Wain M. F 56 19/03/1929 802. 1 Sep 1888, WEDDING AT CAULFIELD. An interesting ceremony was witnessed on the 22nd ult., at St. Mary's Church, Caulfield, the occasion being the marriage of Miss Marriott, eldest daughter of Mr Robert Marriott, of Caulfield, and St. Kilda, to Mr J. J. Webster, of London. Mr. Joseph John Webster in his 86th year. Mr Webster came from England in 1882 and settled in Melbourne. For many years he was a prominent building contractor. He retired about 20 years ago, and lived in the Upper Beaconsfield district in Victoria. He was keenly interested in the breeding of Polled cattle and Corriedale sheep, and for some years had a property at Flinders Island. Mr. Webster was well known in pastoral circles in the Midlands, and visited Campbell Town regularly. He was a life member of the Royal Melbourne Show Society. Mr. Webster is survived by his wife (Mrs. Annie Webster, Melbourne) and two sons, Robert (Campbell Town) and Leslie, (Melbourne). [S5] Registry of Births Deaths and Marriages Death Index Victoria 1921-1985 "#D9411 age 86 [par William WEBSTER & Harriett LEEDER]." [S16] Newspaper - The Age The Age (Melbourne, Vic. : 1854 - 1954), Sat 15 Sep 1888, p7. [S11] Newspaper - Argus 27 Aug1948, p2. [S14] Newspaper - The Telegraph, St Kilda, Prahran and South Yarra Guardian (Vic. : 1866 - 1888), Sat 1 Sep 1888, p6. [S14] Newspaper - Examiner (Launceston, Tas. : 1900 - 1954), Fri 27 Aug 1948, p2. [S5] Registry of Births Deaths and Marriages Death Index Victoria 1921-1985 "#D6286 age 84 [par Robert MARRIOTT & Ann Jane TAYLOR]." [S11] Newspaper - Argus 14 Jun 1949, p12. Marriage* b 1922 Spouse: Hubert Wilkins. The Rev. Paul Hamilton Morris Joseph, third son of Mr. Morris Joseph, of Carlton, Tasmania, who was ordained in the Hindmarsh Congregational Church, of which he is the pastor, was on Monday, November 10, married in the same church, to Miss Dorothy Leigh Bevan, youngest daughter of the Rev. Llewellyn D. Bevan, L.L.D., principal of Parkin College. The ceremony was performed by the father of the bride (Dr. Bevan), assisted by the Rev. Thomas Hope and the Rev. Willett Bevan (brother of the bride). The bride looked pretty and charming as she proceeded up the aisle on the arm of her brother (Rev. Willett Bevan). Miss Bevan, who was given away by her mother, was robed in a handsome gown of white silk with a train of beautiful white shot silk with silver Oriental, silk brought from Jerusalem by her parents some time ago. She wore a tulle veil and coronet of orange blos- soms, and cord, and a pretty shower bouquet of white and pink roses. The two bridesmaids in attendance were Miss Whiting and Miss Scammell, both of whom were gowned in pale pink crepe de chine, and pink and white hats. The bride's train was borne by two little boys—Master Medhurst Bevan (nephew of the bride), and Master Colin Robjohns.— They were both picturesquely attired in white poplin. Mrs. Bevan, mother of the bride, was gowned in black silk with' silver lace trimming over which was worn a lovely Brussells lace shawl. She wore a bonnet of white lace and feathers, and cord, and superb bouquet of azalias. The best man was Mr. Robert Baker, and the groomsman Mr. Rudolph Bronner. The church was exquisitely decorated by a number of young ladies of the church with white wistaria and white roses, and asparagus fern. From a floral arch of ferns and white roses was suspended a large white bell from which white festoons wore looped across the church to the memorial windows on either side. Two arches were also set up midway down the aisle, and formed of greenery and white roses, which added to the artistic effect. Miss M. G. Lawrence, church organist, played Mendelssohn's 'Wedding March' as the bride and bridegroom were leaving. The reception took place in the Congregational lecture hall, which was tastefully decorated, and the tables were nicely arranged with, good things, while the bridal party- occupied places on the platform. The usual toasts were honored. Amongst the guests were Mrs. Russell Hurditch (Victoria), sister of the bride, who was gowned in a pink sponge cloth coat and skirt and pink hat to match. Mrs. Willett Bevan (sister-in-law of the bride) wore a shantung coat and skirt, with dark blue hat and pink roses. Others present were the Rev. and Mrs. Ashley Teece, the Rev. and Mrs. Penry Jones, Mr. and Mrs. P. T. Palmer and Miss Palmer, Mrs. Roby Fletcher, Mr. and Mrs. J. Miller Anderson, Mrs. W. Parkin, Miss Stonehouse, Rev. and Mrs. J. E. Cresswell, Mr. and Mrs. Walter Rutt and Miss Rutt, Mr. and Mrs. Charles Rutt, Mrs. Lillecrape, Mr. and Mrs. F. Q. Scammell, Mr. W. Herbert Phillips, Rev. 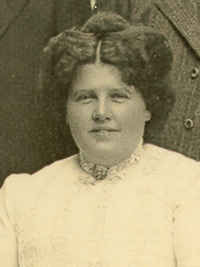 and Mrs. G. Rayner, Rev. and Mra. A. E. Gifford, Mr. and Mrs. M. L. Evans. Mr. C. B.. Evan, Rev. J. C. Kirby and Miss Kirby, Mr. H. Bur gess and Miss Burgess, Mrs. T. Hope, Mr. E. W. Mitton, Mr. and Mrs. J. Jones, Mrs. W. Gasson, Miss Holwill, Mr. and Mrs. G. Noble, Mr. and Mrs. G. H. Michell, Mrs. T. W. Stearne, Mrs. W. S. Mitton, Mr. and Mrs. G. W. Blackwell, Mrs. T. H. Hartshorne and Miss Harts horne, Mr. and Mrs. G. Blackwell, Mr. fend Mrs. W. Herbert Jones and Miss Jones Mrs. Slattery. Mr. and Mrs. V. Pleass, Mrs. T. E. Kent, Mr. and Mrs. G. Forden, Mrs. W. Boath, Mrs. Lawrence, Miss M. C. Lawrence, Mr. and Mrs. H. W. Mitton, Mr. and Mrs. A. G. Collison, Mrs. S. Ophel and Miss Ophel, Mr. and Mrs. J. E. McGrath, Mr. and Mrs. G. H. Michell, sen., Mr. and Mrs. G. H. Michell, jun., Mr. and Mrs. J. A. Michell, Mr. N. H. Sharpe, Miss Adamson, Mr. and Mrs. C. R. Morris, Rev. and Mrs. S. Lenton, Mr. and Mrs. H. Savage, Mr. and Mrs. C. Whit ing and Misses Whiting (2), Dr. Gurtrude Halley, Mrs. J. McEwen, Mrs. Gertrude Dunn, Mr. and Mrs. Preece, Mrs. A. W. Piper and Miss Piper, Rev. and Mrs. Lionel Fletcher, Rev. and Mrs. Leonard Robjohns, Mr. and Mrs. S. H. Bevan, Mrs. G. Pleass, Mrs. Taplin, Misses Bevan (2), Mr. W. Buchanan Kerr, Mr. F. M. Shaw, Mrs. E. Taplin; Mrs. A. Elliott, Mrs. A. H. Elliott. Mrs. F. Mar son, Miss S. Marson, Miss M. Marson, Mrs. A. White, Mrs. F. Lewis, Mr. and Mrs. F. E. Cornish and Miss Cornish, Mr. F. de Lisle, Mr. Douglas Morthey, Mr. H. Linley, L. Curnow, Mr. Gerald Muller, Mr. Percy Raynor, Mr. Josiah Mitton. Mr J. D. Northey, Miss Hannaford, Miss Holwill, Mrs. M. McOmish, Rev. A. E. Stevens, B.A.. Rev. J. Cresswell, Mrs. Nieve, Mr. E. Blackwell, Miss Norton, Mr. S. J. Cato (Tasmania), Mrs. R. F. Slattery Miss Jeffrey, Miss Hitchens. The bride's travelling costume was a tussore silk coat and skirt and white hat. The presents were numerous and costly. [S5] Registry of Births Deaths and Marriages Death Index Victoria 1921-1985 "#D12598 age 77." [S14] Newspaper - Chronicle (Adelaide), 6 Dec 1913, p35. [S5] Registry of Births Deaths and Marriages Death Index Victoria 1921-1985 "#D15501 (Age 76) [par Donald Campbell LOVE & Elizabeth M JOHNSTON]." [S5] Registry of Births Deaths and Marriages Death Index Victoria 1921-1985 "#D12598 age 77 [par Llewellan BEVAN & Louisa Jane UNKNOWN]." [S16] Newspaper - The Age 15 Jun 1970, p12. Cremated at Springvale - remains scattered. [S14] Newspaper - Chronicle (Adelaide), 15 Nov 1913, p57. 6 Jul 1917, Pakenham Upper News. A pretty wedding was celebrated here on the 28th ult., the contracting parties being Miss E. M. Ramage and Mr T. F. Black, the ceremony being performed by the Rev. W. Murray, of Berwick. The bride, who was given away by her father, looked charming in a dress of white crepe-de-chine, pinafore style, over white ninon, with shadow lace under blouse, with a train trimmed with orange blossom, and a lovely veil and wreath of orange blossom. The bride carried a very pretty artificial bouquet of white flowers and streamers. The first bridesmaid (Miss Sims) wore a dress of white crepe-de-chine trimmed with lace and carried a very pretty bouquet. [S35] Probate Records, PROV (Public Records Office Victoria), VPRS 28/P14, unit 137; VPRS 7591/P10, unit 28. [S5] Registry of Births Deaths and Marriages Death Index Victoria 1921-1985 "#D08985 age 94 [par Thomas Montgomery BLACK & Margaret Helen]." [S61] Upper Beaconsfield History Archive ,"Info from Judy GREEN - decendant." [S2] Registry of Births Deaths and Marriages Federation Index Victoria 1889-1901 "#B19119 (1890)." [S185] Property Titles. ; PROV (Public Records Office Victoria), Closer Settlement Lease #1169-601 converted to freehold 12 Sep 1962 C/T 8331-732. [S185] Property Titles. ; PROV (Public Records Office Victoria), C/T 8331-732 - Thomas Fergus Black of Upper Beaconsfield Orchardist. [S185] Property Titles. ; PROV (Public Records Office Victoria), C/T 7145-801 + C/T 8331-732 - l/p 56760. [S185] Property Titles. ; PROV (Public Records Office Victoria), C/T 7145-801 + C/T 8331-732 - C/T 8392-561 - Ethel Janet Peart of Lewis Road Dewhurst Married Woman. [S185] Property Titles. ; PROV (Public Records Office Victoria), C/T 7145-801 + C/T 8331-732 - C/T 8392-562 - Thomas Fergus Black of Upper Beaconsfield and Bruce Douglas Black of Emerald Road Upper Beaconsfield Orchardists are now the proprietors as tenants in common in equal shares. [S185] Property Titles. ; PROV (Public Records Office Victoria), C/T 7145-801 + C/T 8331-732 - C/T 8392-563 - Grace Jean Black and Anne Grange Black both of Upper Beaconsfield Spinsters are now the proprietors as tenants-in-common in equal shares. [S185] Property Titles. ; PROV (Public Records Office Victoria), C/T 8392-564 - May Witham of Cardross Married Woman. [S185] Property Titles. ; PROV (Public Records Office Victoria), C/T 8392-562 - l/p 83723 - subdivided into Lots 1 to 2 - C/T 8767-917+918. [S185] Property Titles. ; PROV (Public Records Office Victoria), C/T 8979-850 - As to the interest of Thomas Fergus Black who died on 25th April 1984. Probate of his will has been granted to Bruce Douglas Black of Emerald Road Upper Beaconsfield. [S134] Electoral Roll for Australia, 1934 "Ethel BLACK's address as Dewhurst, Bruce's as Fairview Upper Beaconsfield." [S196] Newspaper - Dandenong Advertiser and Cranbourne, Berwick and Oakleigh Advocate (Vic. : 1914 - 1918) "26 Oct 1916, p2." [S18] Newspaper - Pakenham Gazette "6 Jul 1917, p2." TWO FORMER popular members of the S.E.C. staff at Dandenong Miss Betty Evelyn Savory, of Berwick, and Mr. Geoffrey Gaborit, of Dandenong, were married, in the presence of many friends and relatives at Christ Church, Berwick, on July 14th. Given away by her father, the fair-haired bride, who is the youngest daughter of Mr. and Mrs. J. B. Savory, of Clyde Rd., Berwick, made an attractive bride in a lovely gown of cream magnolia satin with small collar, fitted bodice and long sleeves. Small buttons extended from the collar to the bustle at the back and the skirt extended to form a long train. A coronet of orange blossom held Betty’s finger-tip veil in place and she carried a trailer bouquet of cream hyacinths, narcissi and orchids. 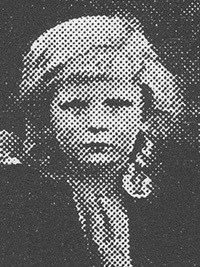 The bride’s only attendant was her little niece, Denise Rutherford, of Moonee Ponds, who made a fetching little flower girl. She was a picture in her pale blue frock with its velvet bodice and 3-tiered tulle skirt. Matching mittens were worn and from her basket pink carnations and maidenhair peeped. The groom, who is the youngest son of Mr. and Mrs. A. Gaborit, of Day St., Dandenong, had his brother, Mr. Tom Gaborit, as best man. The church had been prettily decorated by Misses Meyer and Smith with heather, lilies and ferns. Miss Hillbrick, organist, played the hymn, “O, Perfect Love”, during the ceremony, which was performed by Revs. C. S. Smith and W. Jarman. Later parents of both the bride and groom welcomed guests to a reception held at the bride’s home. Mrs. Savory wore a grey suit, black accessories and smart plumed hat, pinning on a spray of hyacinths. Mrs. Gaborit favored a junior navy ensemble with matching accessories, relieved with a spray of Christmas roses. The beau tiful 2-tiered wedding cake which graced the bridal table was made and decorated by the groom’s sister, Mrs. W. G. Ridgeway, of Lang Lang. When the happy couple left on their honeymoon the bride was wearing an attractive junior navy suit and coat with matching handbags and shoes. Her blouse, hat and gloves were dusky pink. [S80] Ancestry - Family Tree, "tad4beers" viewed Dec 2010. [S218] Newspaper - The Dandenong Journal (1927-1954) "16 May 1951, p4." [S218] Newspaper - The Dandenong Journal (1927-1954) "The Dandenong Journal (Vic. : 1927 - 1954), Wed 8 Aug 1951, p12." Ridgway2 in Ridgway Web Site, managed by John Ridgway. [S14] Newspaper - Courier Mail (Brisbane), 17 Jul 2009 - Ryerson Index. [S218] Newspaper - The Dandenong Journal (1927-1954) "The Dandenong Journal (Vic. : 1927 - 1954), Wed 1 Aug 1951, p5." [S218] Newspaper - The Dandenong Journal (1927-1954) "20 May 1953, p4." (Member of Household) Census 3 Jun 1880 (Head of Household) Rev Dr Llewelyn David Bevan; 14 East 37th Street, New York, USA. (Migrant) Migration/Travel 6 Nov 1886 Sailing with Rev Dr Llewelyn David Bevan, Louisa Jane Willett, Hester Gwladys Bevan, Judge David John Davies Bevan, Louis Rhys Oxley Bevan, Penry Vaughan Bevan, Muriel Eliza Marian Bevan, Sibyl Ceredwyn Bevan to Port Phillip, VIC, Australia. Ship Valetta. They travelled with a maid, aged 30. Marriage* 31 Dec 1901 Spouse: Beatrice Vale. Hong Kong. The Rev. 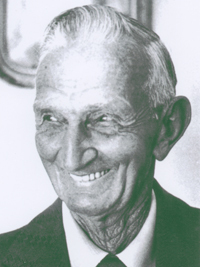 Hopkin Llewelyn Willett Bevan, who bad been minister of the Gawler Congregational Church for many years, died at a private hospital yesterday. He was the eldest son of the Rev. Dr. Bevan, the first principal of the Parkin College, and was born on July 26, 1871. His early education was gained at St. Paul's and Merchant Taylors' Schools, London, and later at the Melbourne Grammar School. He graduated at the Melbourne University, obtaining the degrees of B.A. in 1893 and M.A. in 1895, taking first class honors in philology. His theological training was received at the Victorian Congregational College, at Marburg, Germany, and at Mansfield College, Oxford. In 1900 he was appointed to take charge of the educational work of the London Missionary Society in Shanghai, and from 1903 to 1913 was principal and headmaster of the Medhurst College, Shanghai. In the latter year he accepted the pastorate of the Kilkenny Congregational Church, which he retained until his appointment to the Gawler Church in May, 1919. For some years be was chaplain of the Gawler Freemasons, and of the district Boy Scouts' Association, of which he was recently elected vice-president. In 1901 be married Miss Beatrice Vale, daughter of Mr. W. M. K. Vale, formerly Attorney-General of Victoria, who survives him. [S9] Free BMD. Index. Online @ https://www.freebmd.org.uk/ "Sep Q [St Giles] 1b 490." [S65] Ancestry - various indices, Source Citation: Year: 1880; Census Place: New York City, New York, New York; Roll: 881; Family History Film: 1254881; Page: 424B; Enumeration District: 297; Image: 0008. [S36] Inward & outward passenger lists to and from Victoria. Series: VPRS 14; 7666; 7667; 7786); PROV (Public Records Office Victoria), B 474 002. [S11] Newspaper - Argus 1 Apr 1902 p1. [S14] Newspaper - The News (Adelaide), 28 Dec 1933, p8. [S61] Upper Beaconsfield History Archive ,"Family Tree of Doreen GOTTSCHALK." [S14] Newspaper - The Advertiser: 29 Dec 1933 p8. (Migrant) Migration/Travel 6 Nov 1886 Sailing with Rev Dr Llewelyn David Bevan, Louisa Jane Willett, Hester Gwladys Bevan, Rev Hopkin Llewelyn Willett Bevan, Judge David John Davies Bevan, Penry Vaughan Bevan, Muriel Eliza Marian Bevan, Sibyl Ceredwyn Bevan to Port Phillip, VIC, Australia. Ship Valetta. They travelled with a maid, aged 30. Marriage* 16 Jul 1903 Spouse: Florence Springthorpe. Cathedral, Shanghai, China. Death-Notice* 15 Oct 1946 BEVAN. - On October 13, Louis Rhys Oxley, loved husband of the late Florence Bevan, and loving father of Rosalind and Lancelot. 22 Dec 1936, DOMINATING FAR EAST. Japan's Determination. PROFESSOR'S VIEWS. BRISBANE, Monday. Professor Louis R. Bevan, Professor of Political Science in the Yenching University, Peking, who passed through Brisbane on the Tanda today for Melbourne, said that Japan was determined to dominate the Far East. Professor Bevan, who has spent 30 years in Government and University education work in China, said that Japan was forced to dominate the Far East economically, in order to keep pace with her industrial development. She had earmarked China for her own, but whether she was going to extend her political penetration did not seem so certain as it did a few years ago. 14 Oct 1946, ELDERLY MAN KILLED. [S9] Free BMD. Index. Online @ https://www.freebmd.org.uk/ "Mar Q [St Giles] 1b 555." [S61] Upper Beaconsfield History Archive ,"Family Tree of Doreen GODTSCHALK." [S14] Newspaper - Sydney Morning Herald: 3 Oct 1903 p10. [S5] Registry of Births Deaths and Marriages Death Index Victoria 1921-1985 "#D12010 age 72." [S11] Newspaper - Argus 15 Oct 1946 p2. PITTOSPORUM, INDIVIDUAL ROSE, GARDEN F2 BED 20 ROSE 29. [S14] Newspaper - Sydney Morning Herald: 22 Dec 1936 p12. [S11] Newspaper - Argus 14 Oct 1946 p24. (Migrant) Migration/Travel 6 Nov 1886 Sailing with Rev Dr Llewelyn David Bevan, Louisa Jane Willett, Hester Gwladys Bevan, Rev Hopkin Llewelyn Willett Bevan, Judge David John Davies Bevan, Louis Rhys Oxley Bevan, Penry Vaughan Bevan, Muriel Eliza Marian Bevan to Port Phillip, VIC, Australia. Ship Valetta. They travelled with a maid, aged 30. Death-Notice* 7 Jun 1962 BEVAN.—On June 6, at Blairgowrie, Camberwell, Dr. Sybil, third daughter of the late Rev. Dr. Ll and L. J. Bevan, loving and loved sister of Willett, David, Louis, Vaughan, Muriel, Gwladys and Dorothy. VPRS 7591/ P3 unit 459, item 590/809. [S5] Registry of Births Deaths and Marriages Death Index Victoria 1921-1985 "#D10961 age 83 -- as BEVAN." [S16] Newspaper - The Age The Age, 7 Jun 1962, p16. [S130] Electoral Roll for Australia, 1930 "1930-1933 electoral roll." [S11] Newspaper - Argus 2 Feb 1907, p19. [S14] Newspaper - Queensland Government Gazette, 5 Jan 1910, p5. (Migrant) Migration/Travel 6 Nov 1886 Sailing with Rev Dr Llewelyn David Bevan, Louisa Jane Willett, Hester Gwladys Bevan, Rev Hopkin Llewelyn Willett Bevan, Judge David John Davies Bevan, Louis Rhys Oxley Bevan, Penry Vaughan Bevan, Sibyl Ceredwyn Bevan to Port Phillip, VIC, Australia. Ship Valetta. They travelled with a maid, aged 30. 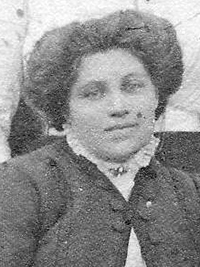 Death-Notice* 3 Oct 1955 WALKER.-On September 30, at her home, 31 Stanhope grove, Camberwell, Muriel Eliza Marianne, the widow of Edgar William, mother of Janet, David William, and Lois, eldest daughter of the late Rev. LL.D. and Louisa. 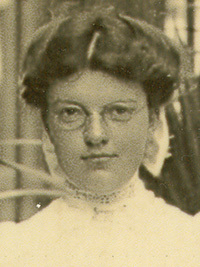 J. Bevan, sister of Willet, David, Louis, and Vaughan (all deceased). Gwladys, Sibyl, and Dorothy. WALKER.-On September 30, Muriel Eliza Marianne, grandmother of John and Timothy Western, David Walker, Jennifer, Wendy, Robert and Myfanwy Glenister. 5 Dec 1901, WEDDINGS. 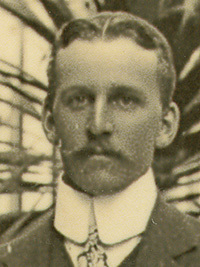 MR. E. W. WALKER TO MISS M. E. M. BEVAN. THE marriage of Mr. Edgar William Walker, second son of the late Hon. W. Froggatt Walker, of Melbourne, and Miss Muriel Eliza Marienne Bevan, eldest daughter of the Rev. Dr. Llewelyn David Bevan, of Melbourne, was celebrated at Collins street Independent Church, 3rd December, at 2 p.m. The building was crowded with guests and friends of the bride, and very prettily decorated with white flowers, a floral bell and pretty floral gate. The ceremony was most impressively performed by Dr. Bevan, father of the bride. A full musical service was given by the choir, and several anthems sung under the direction of the organist, Mr. George Peake, who also played the 'Wedding March.' The bride, who was given away by her mother, wore white crepe de chine, long court train of quaint silk, embroidered with silver brought from Jerusalem, trimmed with wide flounce of old Brussels lace, worn by the bride's grandmother at her marriage in 1842. The bridesmaids were Miss Gwladys Hester Bevan, Sibyl Caridwen Bevan (sisters of bride). They wore palest green voile, with Eton jackets of heavy Chinese silk, square collars trimmed with very old Venice point lace ; hats, with white ostrich feathers. Dorothy Leigh (sister) wore white silk dress and white hat. The bridegroom's gifts to the bridesmaids were pearl and ruby brooches and bouquets. His brothers, Mr. Geo. Harold Walker and Mr. Oscar Robert Walker, accompanied the bridegroom. [S9] Free BMD. Index. Online @ https://www.freebmd.org.uk/ "Dec Q [St Giles] 1b 606." [S2] Registry of Births Deaths and Marriages Federation Index Victoria 1889-1901 "#M7740." [S11] Newspaper - Argus 21 Dec 1901, p9. [S5] Registry of Births Deaths and Marriages Death Index Victoria 1921-1985 "#D11345 age 78 -- as WALKER." [S11] Newspaper - Argus 3 Oct 1955, p11. [S14] Newspaper - Punch (Melbourne, Vic. ), Thu 5 Dec 1901, p22. (Migrant) Migration/Travel 6 Nov 1886 Sailing with Rev Dr Llewelyn David Bevan, Louisa Jane Willett, Hester Gwladys Bevan, Rev Hopkin Llewelyn Willett Bevan, Judge David John Davies Bevan, Louis Rhys Oxley Bevan, Muriel Eliza Marian Bevan, Sibyl Ceredwyn Bevan to Port Phillip, VIC, Australia. Ship Valetta. They travelled with a maid, aged 30. 18 Dec 1913, DR. PENRY V. BEVAN. A private cablegram has been received in Adelaide announcing the death of Dr. Penry Vaughan Bevan, M.A., D.Sc. youngest son of Dr. Bevan, of Parkin College. It will be remembered that Dr Bevan's name was announced as one of the members of the British Association who are to visit Australia next year. He had been appointed as secretary of the physics department in the association. Although only 38 years of age, Dr. Bevan had already made a position for himself in the British scientific world. After a brilliant course in science and mathematics at the University of Melbourne, he went to Cambridge, where he took the high place of fourth wrangler in the mathematical tripos in 1900, and in the following year was placed in the first division of the first class in the mathematical tripos, part II. He was elected to a fellowship at Trinity College, Cambridge, his own college, and subsequently was appointed to the position of professor of physics and chemistry in the Royal Holloway College, Egham. In addition to his work in the college, Dr. Bevan had been carrying on original research work on the absorption and diffusion of light by the vapors of certain of the metals. He had published the results of his work in several papers, which have been read before the Royal Society, which gave practical effect to its recognition of Dr. Bevan's work and its value and importance, by making grants from the funds of the society for the purchase of apparatus for the prosecution of his research. In recognition of his services to the cause of science, the University of Cambridge conferred on him the degree of doctor of science, and the Royal Astrono mical Society expressed its appreciation of his work, and referred to the great ad- vantage the results of his investigation would be in astronomical science. Dr. Bevan's brilliant and deep knowledge of mathematics made him specially fitted for the branch of science to which he had devoted himself, namely, physico-chemistry. Dr. Bevan was thought very highly of by such men as J. J. Thompson, Lord Rayleigh, and Sir Oliver Lodge, and his work was recognised and esteemed by the scientific world of the continent. There ia no doubt that if his life had been spared he would have become one of the leading scientific men of his times. In addition to his work as a scientist, Dr. Bevan took much interest in religious work, one of his most recent publications being a paper on the relation of religion and science, showing how it was quite possible for a scientific man to be an earnest Christian. Much of his spare time was given to Church and other Christian work, especially in connection with the Christian Student Union movement in the schools and universities of England, and with the Congregational Church at Egham, of which he was a member. Dr. Bevan also took great interest inthe political questions of the time being a strong supporter of the Liberal Party and a rigorous free Churchman. During the days of the Education Bill struggle he took a strong position, and was to be found in the ranks of the Sassive resisters. During his early years Dr. Bevan was not robust, and the change of residence from England to Australia, did much to strengthen him physically. He early gave evidence of the bent of his mind, gaining the first prize for mathematics at his school in London, though, compelled to take the examination while in bed with rheumatic fever. The constant care of his parents and the recognition of his promise of his mental power, and the opportunities in the way of edu cation and training, however, enabled him to grow out of the youthful delicate ness and to take the position he had made for himself. For the last two or three years Dr. Bevan had been in indifferent health, suffering from some internal trouble, brought on partly by unceasing devotion to his work. A couple of weeks ago a cable was received saying that he had undergone an operation, the details of which have not yet reached Australia, but that he was convalescent. The later news comes as a great grief to his parents and to the other members of the family. [S9] Free BMD. Index. Online @ https://www.freebmd.org.uk/ "Mar Q [St Giles] 1b 596." [S50] Miscellaneous Source, Ancestry.com. Cambridge University Alumni, 1261-1900 [database on-line]. Provo, UT, USA: Ancestry.com Operations Inc, 1999. [S9] Free BMD. Index. Online @ https://www.freebmd.org.uk/ "Mar Q [Cambridge] 3b 645." [S9] Free BMD. Index. Online @ https://www.freebmd.org.uk/ "Dec Q [Southwark] 1d 38." [S50] Miscellaneous Source, Ancestry.com. England & Wales, National Probate Calendar (Index of Wills and Administrations),1861-1941 [database on-line]. Provo, UT, USA: Ancestry.com Operations Inc, 2010. [S14] Newspaper - The Advertiser: 18 Dec 1913 p11. 29 Apr 1890, ARRIVAL OF THE ENGLISH MAIL AT AUCKLAND. (By cable from our correspondent.) AUCKLAND, MONDAY. [S11] Newspaper - Argus 17 Oct 1942, p2 + 13. [S14] Newspaper - Sydney Morning Herald, 29 Apr 1890, p7.